This week, Zimbabwe’s longtime president, Robert Mugabe, resigned after 30 years as president and a previous seven as prime minister; he was, essentially, the only post-colonial and post-white ruler the African nation has ever known. While often hailed as a great liberator, Mugabe was also a brutal dictator who routinely detained, tortured and murdered his opponents for decades. From the dark days of the Gukurahundi Massacres that immediately followed independence—when Mugabe and his predominately Shona ZANU party set out to destroy his independence comrades turned political rivals in the predominately Ndebele ZAPU party, murdering perhaps 20,000 people in the process (with the help of the North Korean army)—right up to present day, when any Zimbabwean brave enough to speak out against him was targeted and the press was silenced. He took a country rich with natural resources including coal, gold, platinum, nickel, tin and diamonds, and crops that included vast tobacco, tea and coffee plantations, and ran it into the ground, leaving office with an unemployment rate of 90 percent and more than 70 percent of the population living below the poverty line. All while he, his family and cohorts lived in opulence, with homes and property worth millions in various places around the world, and travelled the globe on extravagant shopping trips. 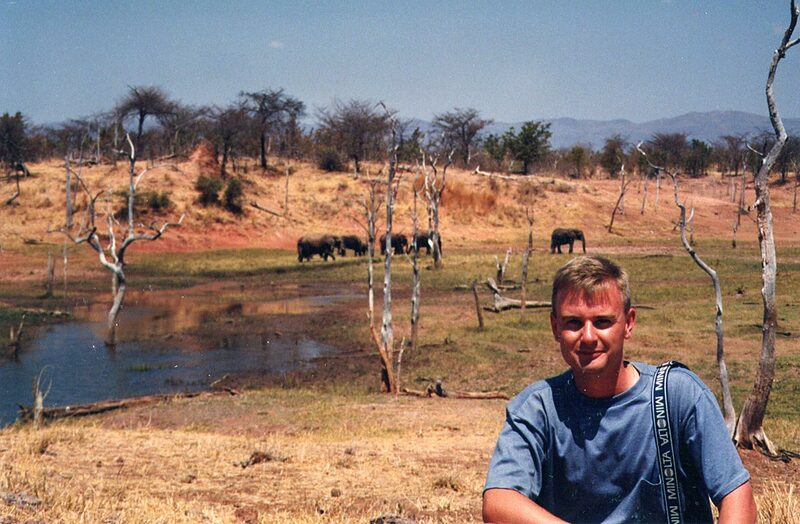 My first trip to Zimbabwe came in 1994 and I fell in love with the country and its people immediately. The country had yet to be struck by the big Mugabe-inspired implosion, triggered by a desperate dictator fearful that his long reign was coming to an end, which led the country into economic bankruptcy, government brutality and dependence on Muammar Gaddafi’s Libya. While people were cautious to speak ill of the strongman in Harare, Zimbabwe’s capital city, the grocery stores were full and (freedom of speech aside) most people were content. On subsequent visits over the following years, the situation gradually deteriorated as resentment toward Mugabe increased. Grocery store shelves became more and more bare, and the handful of Zimbabwe dollars I carried in my pockets became thick wads of worn notes necessary to buy even the most insignificant of items. Despite the threat of arrest or worse, more and more Zimbabweans wanted to talk to me about the situation in their country. Some, like those in Bulawayo and other areas that had traditionally been targeted by Mugabe, were understandably hostile to their leader; but others—particularly ones in Harare and the east, who had long been supporters of his—were surprisingly vocal and passionate in their opposition. Many had supported Mugabe’s infamous seizing of white people’s farmland—until he gave much of the land to his family and political cronies, instead of reforming it and giving it to the Zimbabwean people. Suddenly, land that had created significant revenue for the country’s coffers, as well as employment for thousands was at best being used for subsistence farming. Many who had depended on farm work for their livelihood were now unemployed and destitute. As for tourism: in short, Mugabe killed the goose that laid the golden egg. Zimbabwe has everything any traveller could want, from fantastic safaris, brilliant wilderness experiences, outstanding hiking, kayaking and canoeing, ancient history and Victoria Falls: one of the world’s greatest adventure capitals and once a seeming home-away-from-home for me. Alas, over a short period of time, most of that tourism was driven away. Many of Victoria Falls’ adventure operators crossed the bridge into neighbouring Zambia and set up shop in Livingstone. Safari operators followed suit, choosing Zambian or South African parks instead of Hwangi or Matobo, as did many of the country’s professional safari guides who had long been recognized as among the continent’s finest. On top of this, shockingly and sadly, much of Zimbabwe’s wildlife was killed by organized poaching rings or subsistence poachers. The Zimbabweans I had come to know and remained in touch with became a diaspora spread from London to Cape Town and everywhere in between. People rarely want to leave their homes, but to swap the warmth (weather and people-wise) of Zimbabwe for the rain and cold of England was a tough nut to swallow for almost all. Over the years, as our method of communication evolved from letters to emails, the tone of their messages never altered. Whether still in Zimbabwe or relocated overseas, whether black or white, Shona or Ndebele, all were confident that one day soon the country would be returned to the Zimbabwe they had known, and with which I had fallen in love. Today, they are reaching out to remind me that they were right all along. The Zimbabwean people are among the warmest, friendliest and most peace-loving people I have met anywhere. And, as with so many disadvantaged people the world over, they have a great sense of humour. The country still has a long way to go. The removal of Robert Mugabe is barely a first step, but hopefully it’s the first step that breaks the dam of democracy, and puts the country on a firm road to the bright and brilliant future it so richly deserves. Next time you are considering heading to Africa, whether your first time or a return visit, check out Zimbabwe, and it just may start a lifelong passion, as it did with me more than 20 years ago.